COGNAC SCION: Traveling the world as global ambassador for Hennessy, his eponymous cognac house, Maurice Hennessy dropped into the French Embassy as guest of Amb. Francois Delattre and Moet-Hennessey's Michael Pelissier. 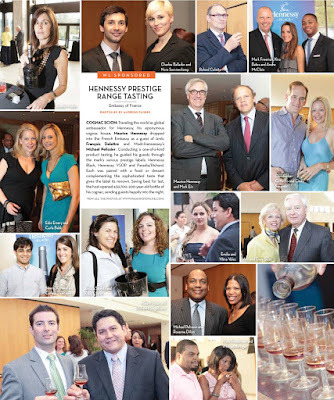 Conducting a one-of-a-kind product tasting, he guided his guests through the mark's various prestige labels: Hennessy Black, Hennessy VSOP and Paradis/RIchard. Each was paired with a food or dessert complementing the sophisticated taste that gives the label its renown. Saving best for last, the host opened a $2,700, 200-year-old bottle of his cognac, sending guests happily into the night.